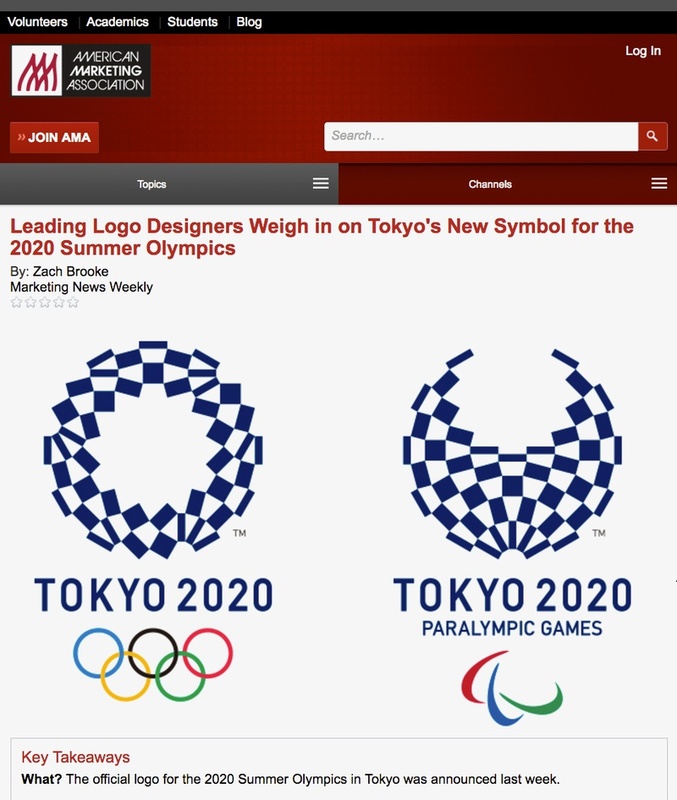 The American Marketing Association newsletter features leading logo designer’s reactions to Tokyo's symbol for the 2020 Summer Olympics. C&G’s Maya Kopytman is one of the five designers selected for the write-up by Zach Brooke. Maya analyzes the merits and shortcomings of the 2020 Olympics logo, designed by Asao Tokolo, and compares it to the original logo selected for the 2020 Games that was dropped because of plagiarism claims. She was featured alongside Landor’s Wally Krantz, Jerry Kuyper from Jerry Kuyper Partners, Chermayeff & Geismar & Haviv’s Sagi Haviv, and Joe Finocchiaro from Joe Finocchiaro Design. Read "Leading Logo Designers Weigh in on Tokyo's New Symbol for the 2020 Summer Olympics."